At a height of 2.6 metres the comical Chair Umpire moves through an audience, resting his legs on people’s shoulders and looking down on them. The Chair Umpire is the perfect event entertainment for sports themed events. A completely unique and engaging stilt performer, the Chair Umpire wins the audience; game, set and match! The event entertainer playing the Chair Umpire has extensive experience in audience improvisation and delights audiences. The Melbourne based Chair Umpire has performed at many events including the Iron Man Classic and the opening of Warralilly Estate. 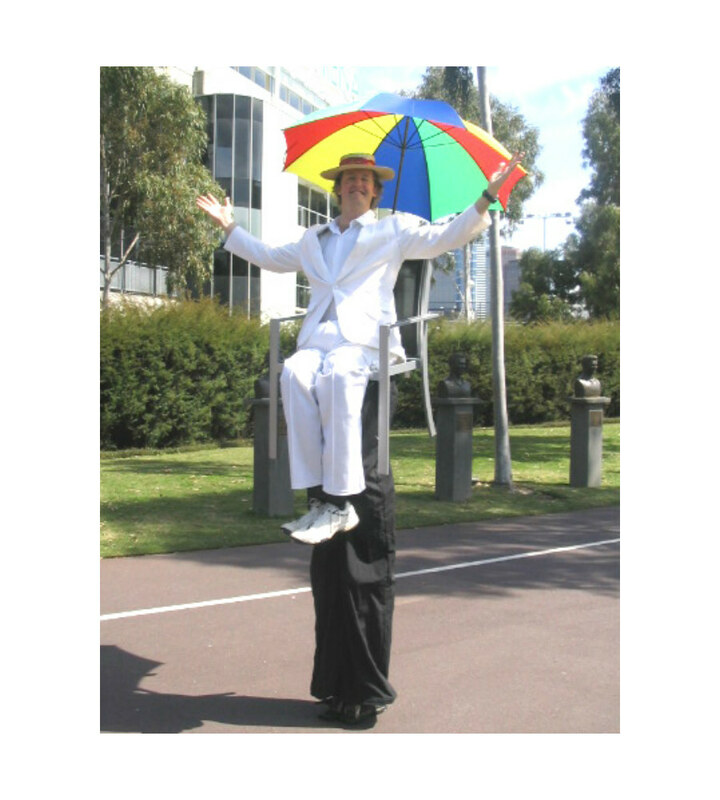 The Chair Umpire is a solo stilt performer and can be combined with other sports themed entertainment for an even bigger impact.